Furnace heatups typically occur on processes where the installed refractory lining has been dried out or fired prior to installation. The lining could be constructed from bricks or from pre-fired cast shapes. Unlike refractory dryouts, the mechanical properties of the refractory lining are not created during this initial heating in the field – they were created when the bricks or shapes were fired at the factory. Many large industrial furnaces are designed to capture and recycle process heat via stoves, regenerators or recuperators. In these instances Hotwork is often used to provide the initial heat up so that the process has the energy to sustain itself. Some facilities are constructed out of expansion critical materials such as silica brick. 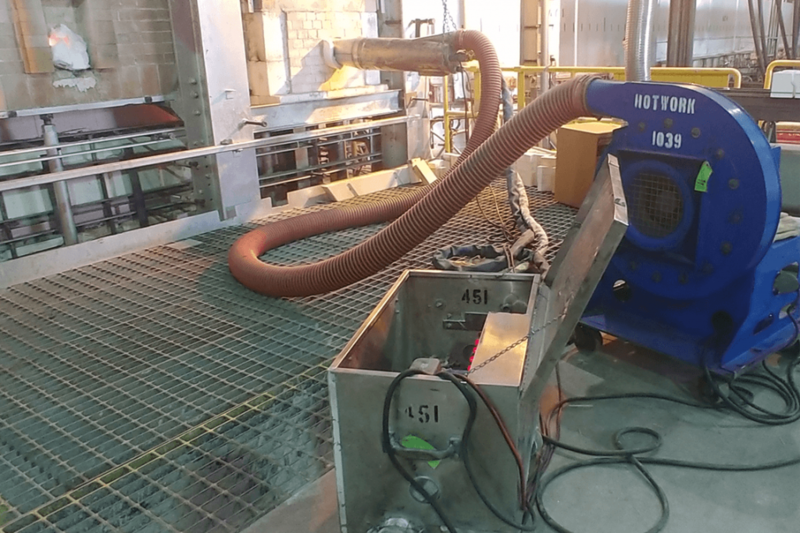 Hotwork is often used for the initial furnace heatup with these silica materials in order to ensure uniform heating and therefore uniform expansion. Whether it is a coke oven or a glass furnace, Hotwork has years of experience providing the initial heat up of these expansion critical materials.